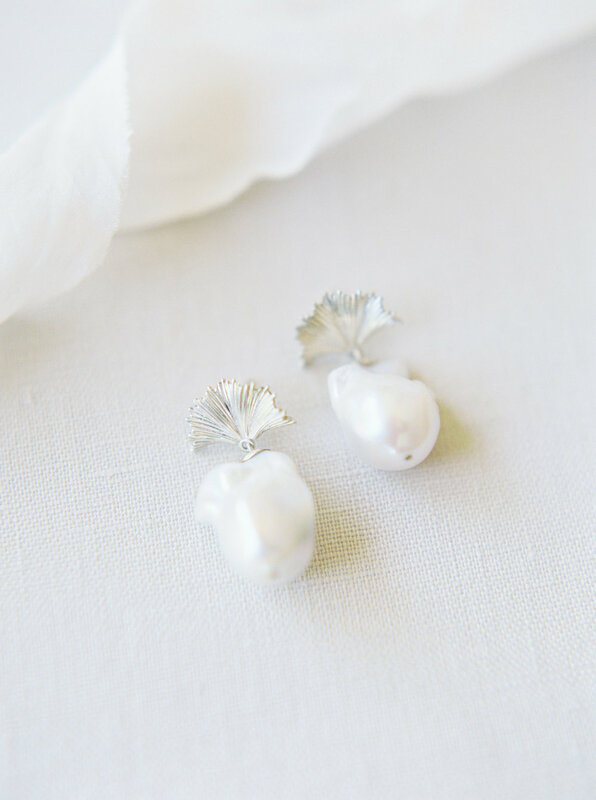 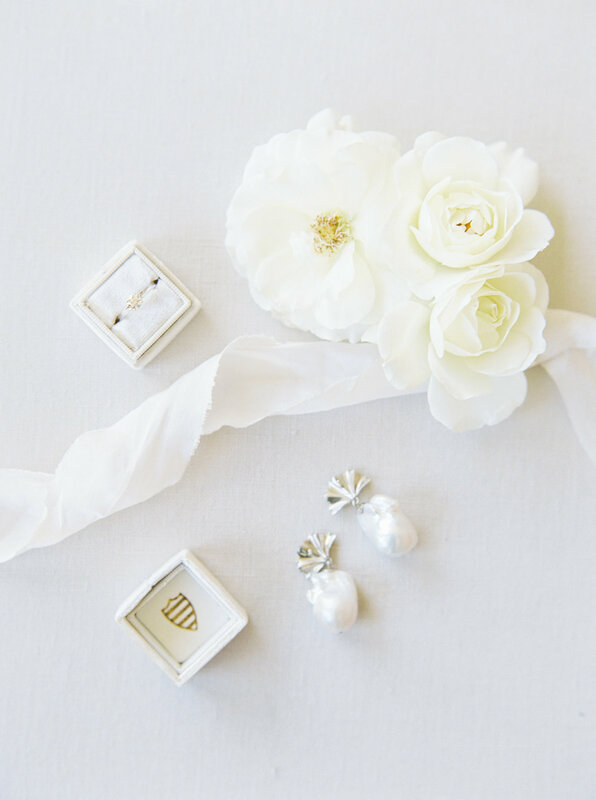 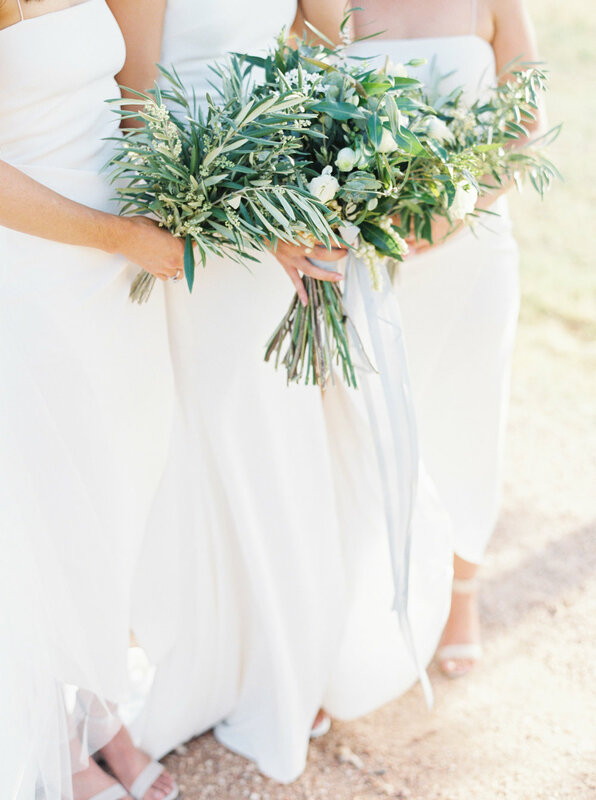 Capturing the essence of the Mediterranean, this intricately styled wedding emanates connection, community and classical beauty. 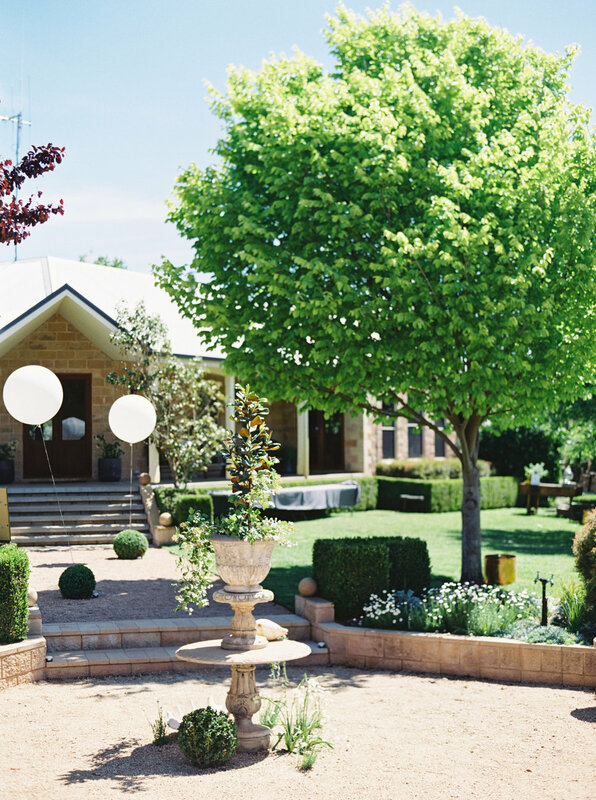 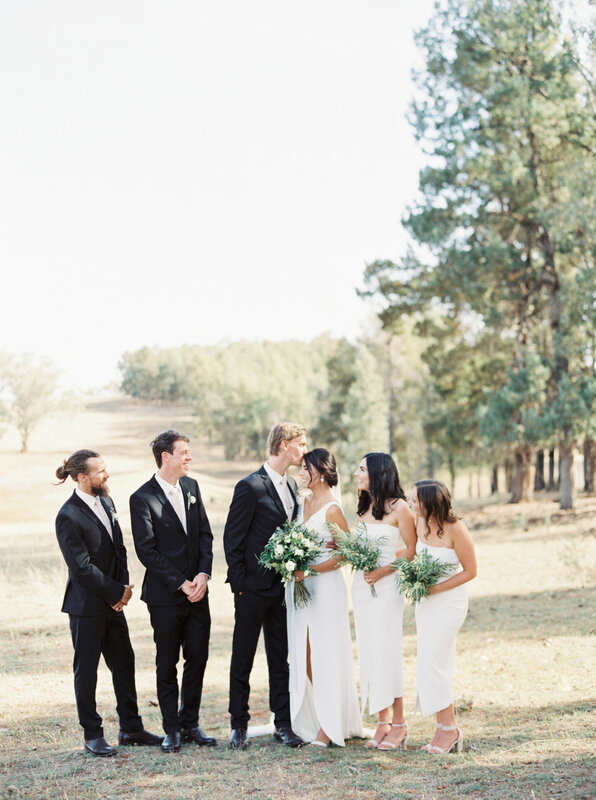 Utilising the elegance of the bride’s family property and the mantra of ‘less is more’, talented family and friends helped create a timeless feel where simplicity was key. 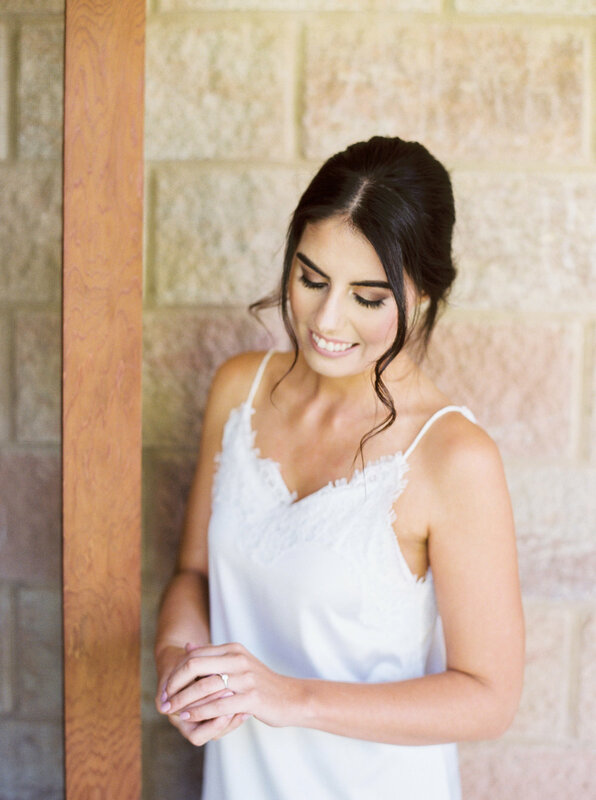 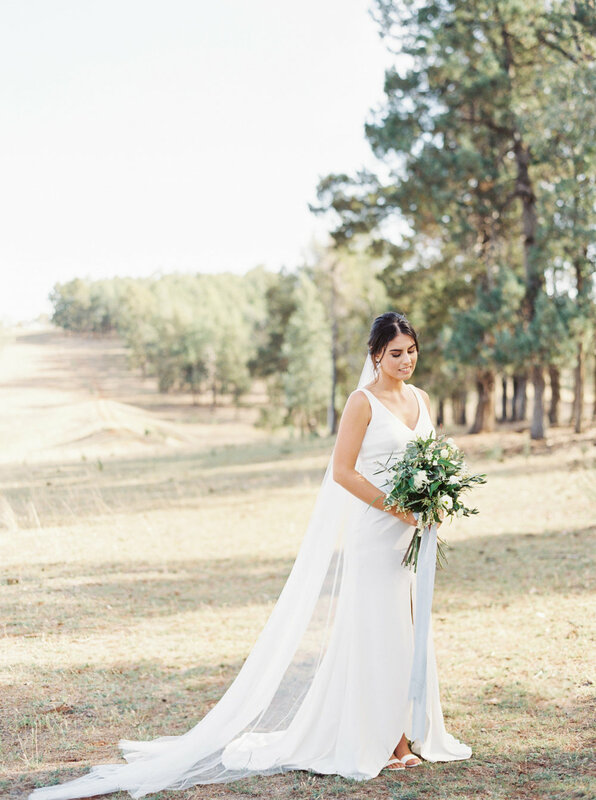 The simple lines of the bridesmaid’s dresses enhanced their natural beauty and the bride shone in a beautiful timeless silhouette – all three stunning in white. 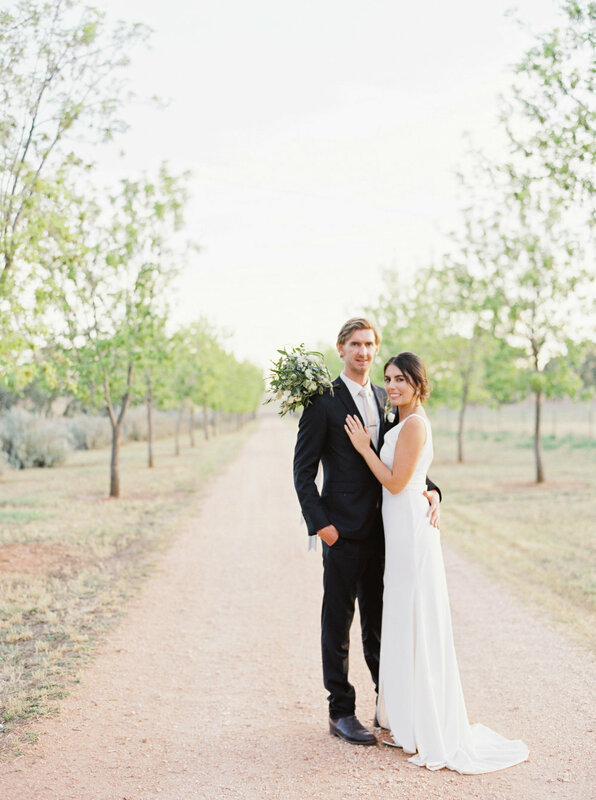 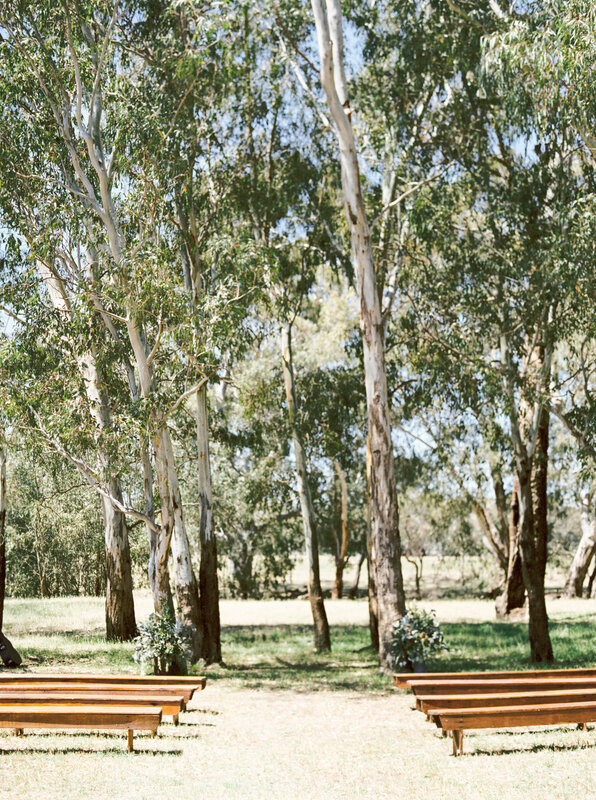 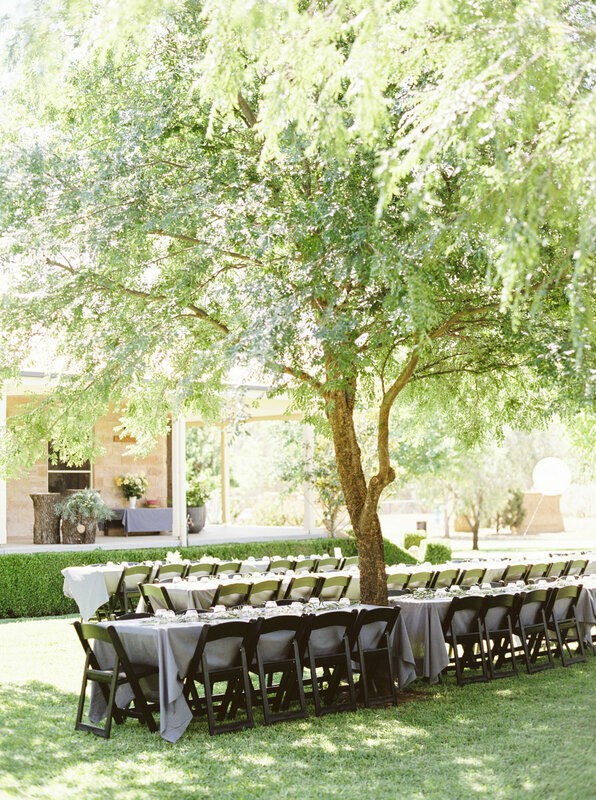 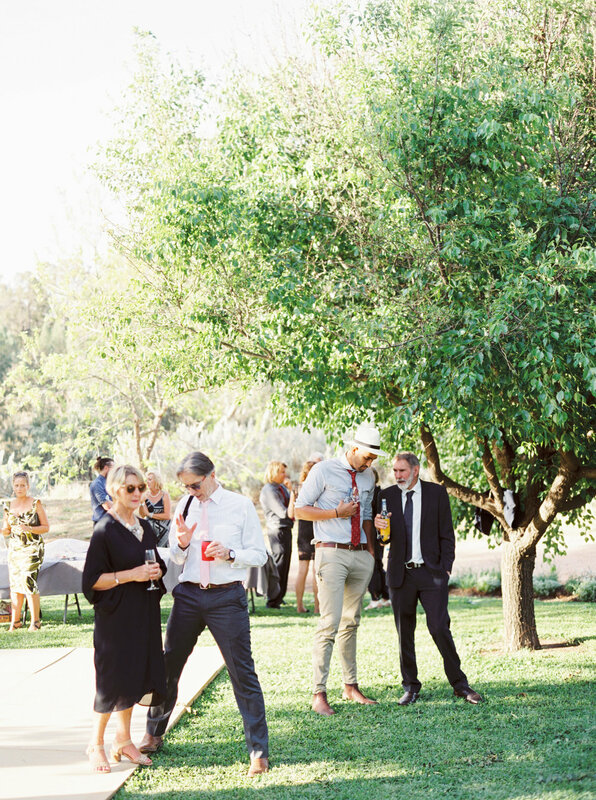 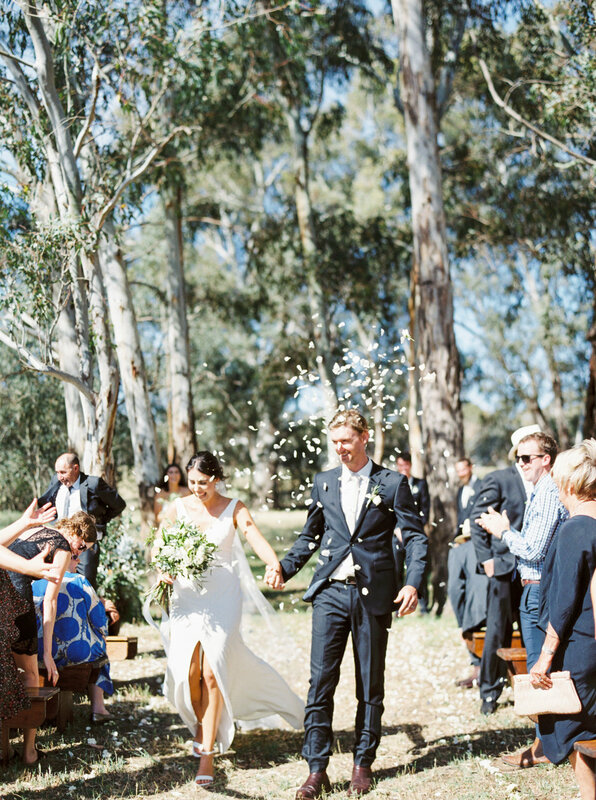 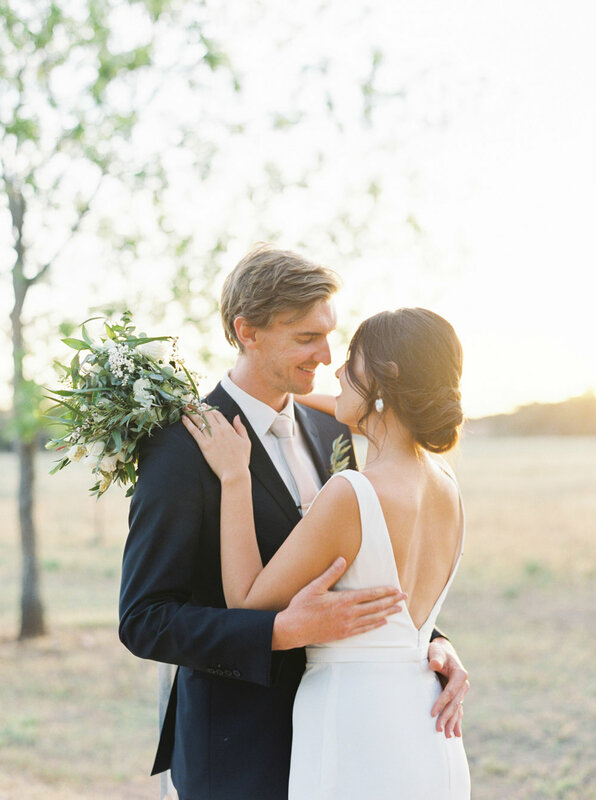 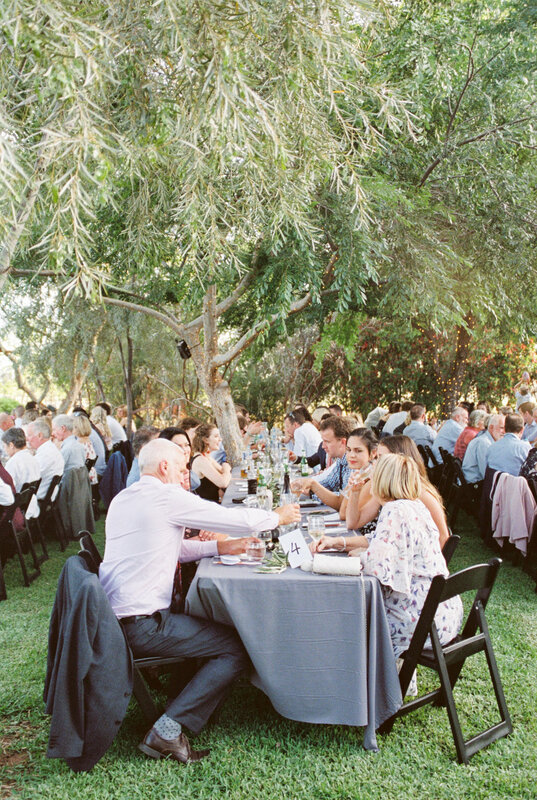 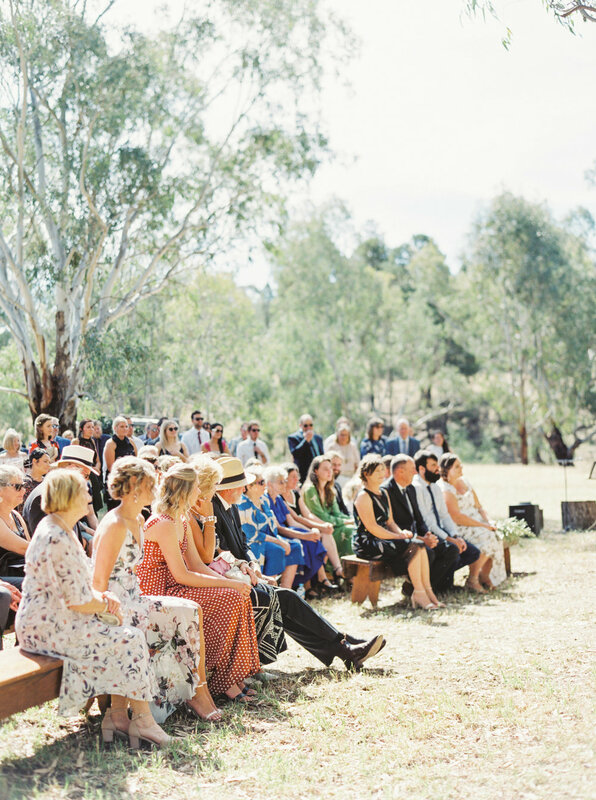 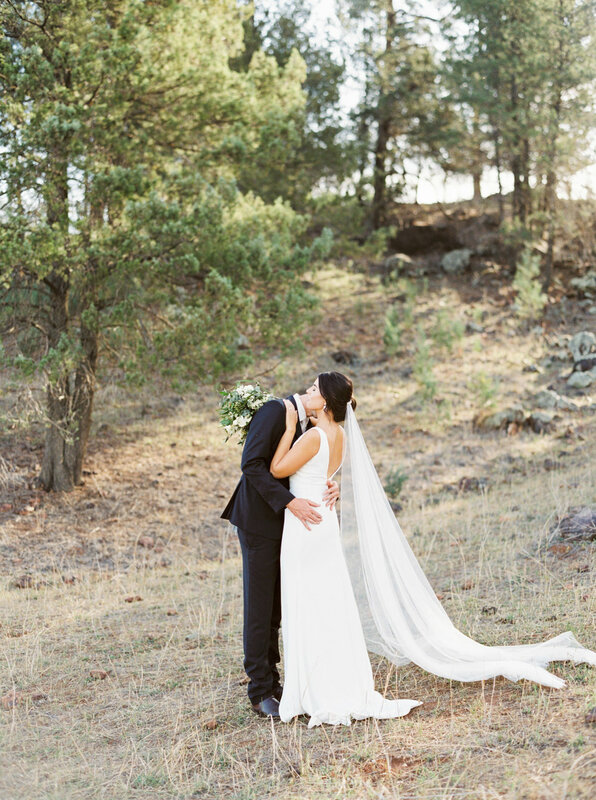 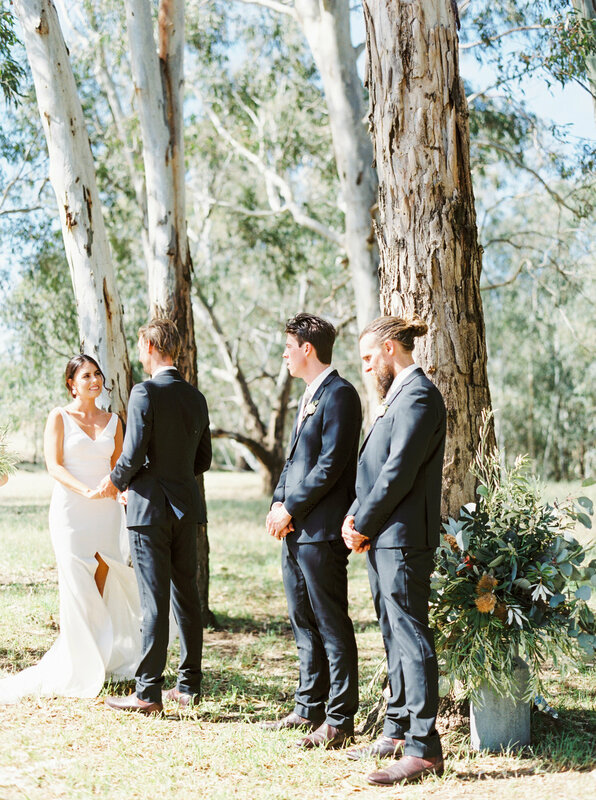 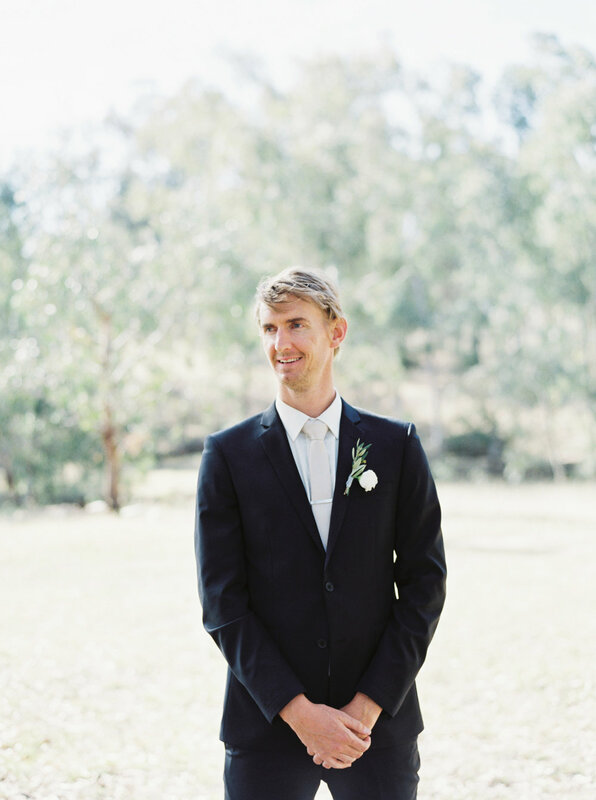 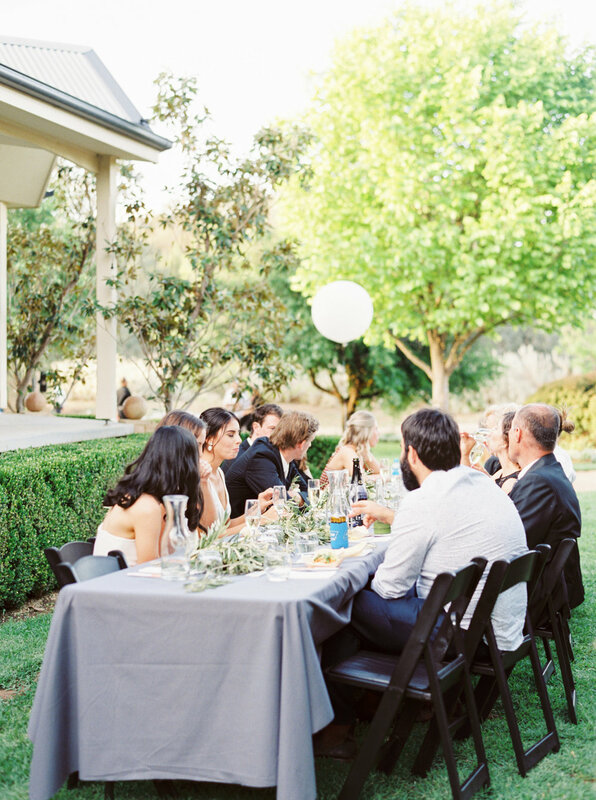 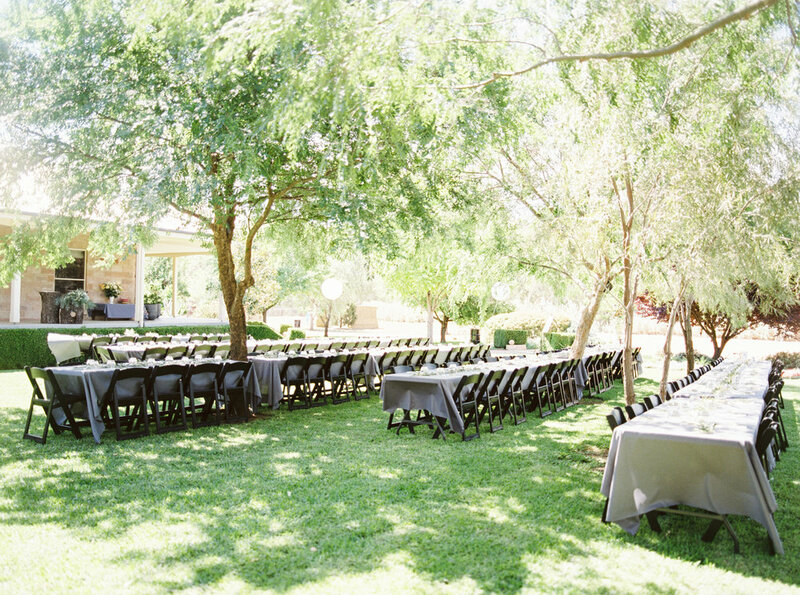 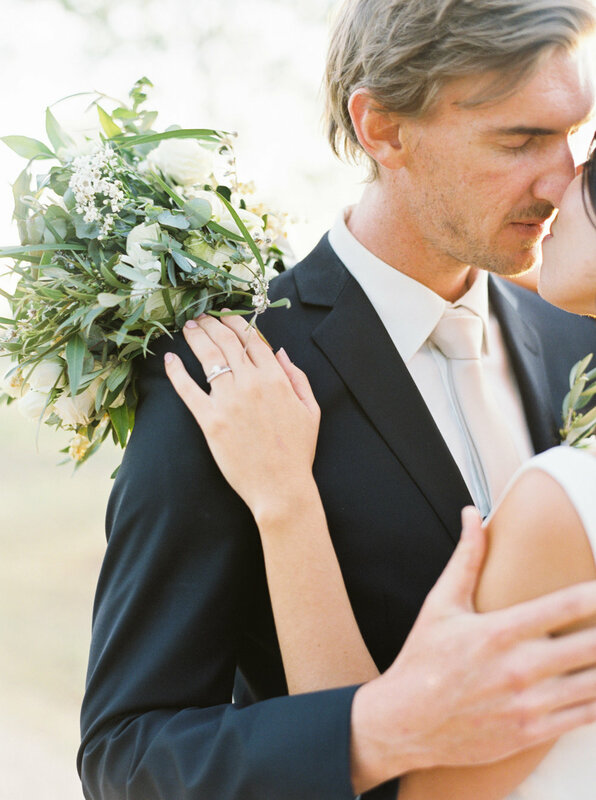 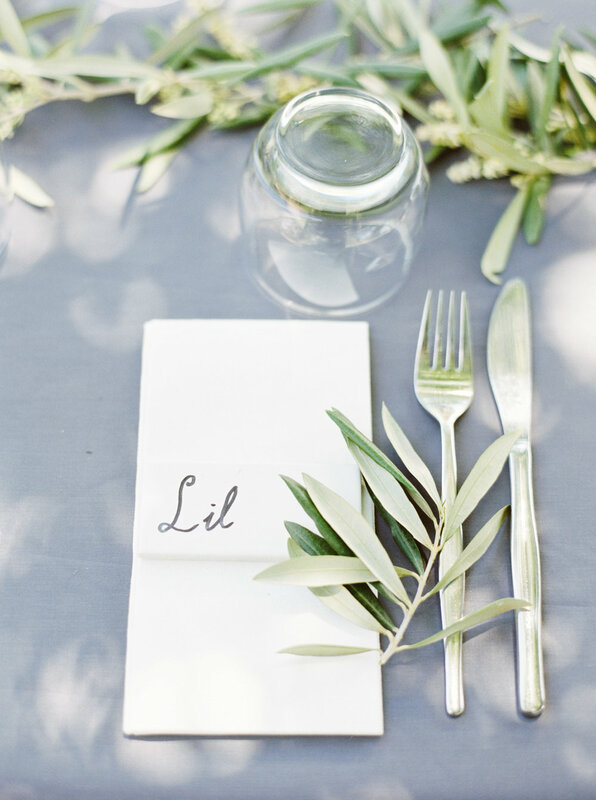 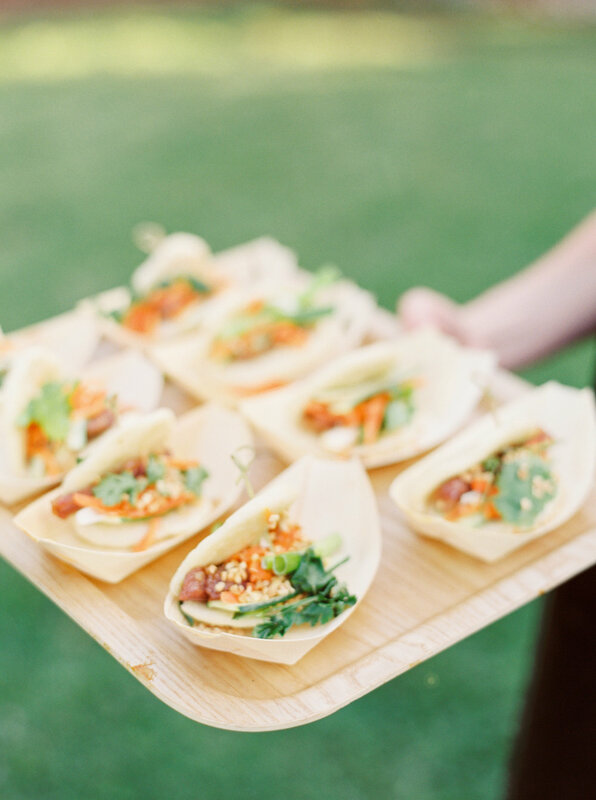 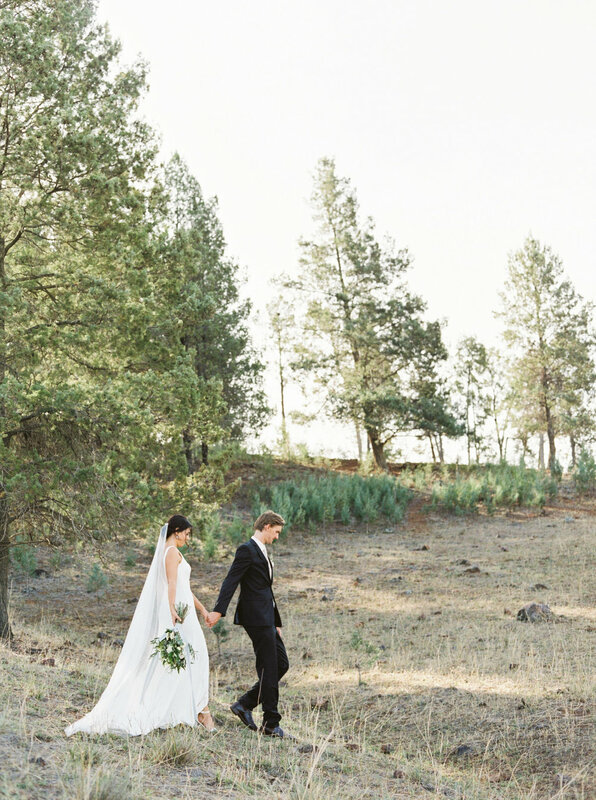 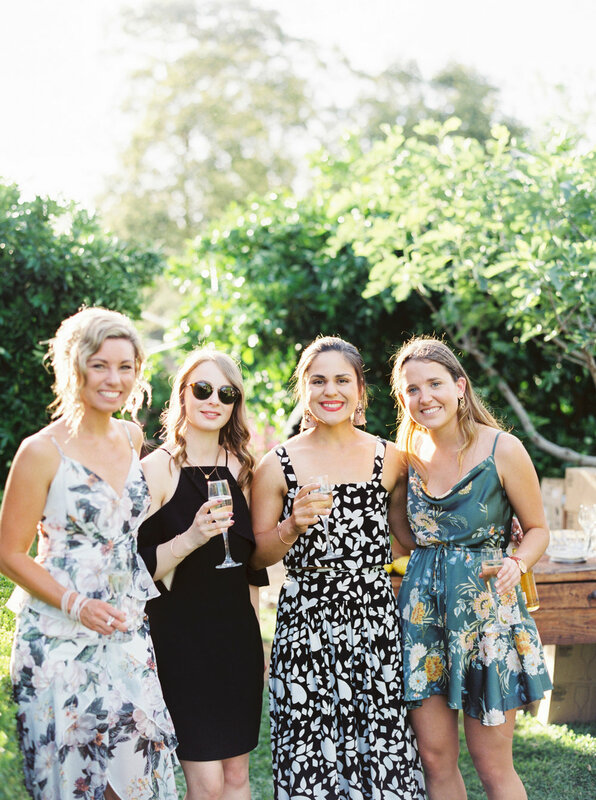 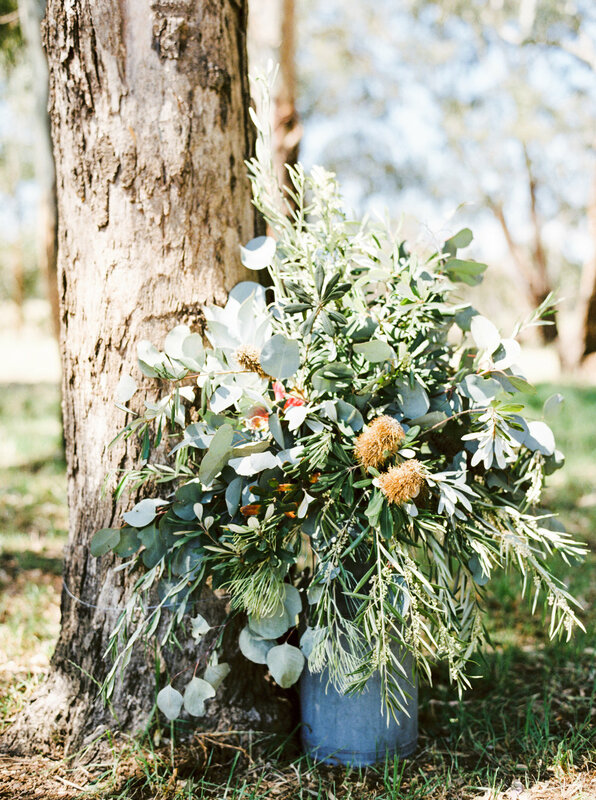 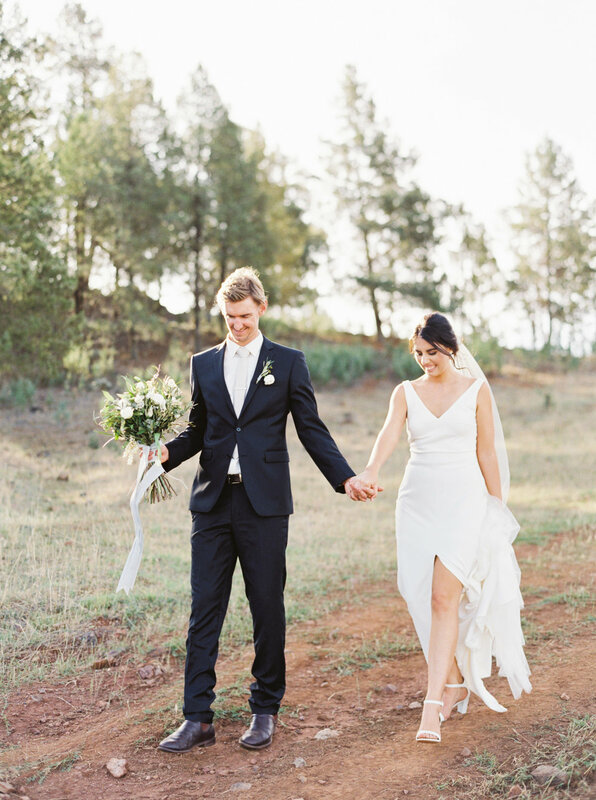 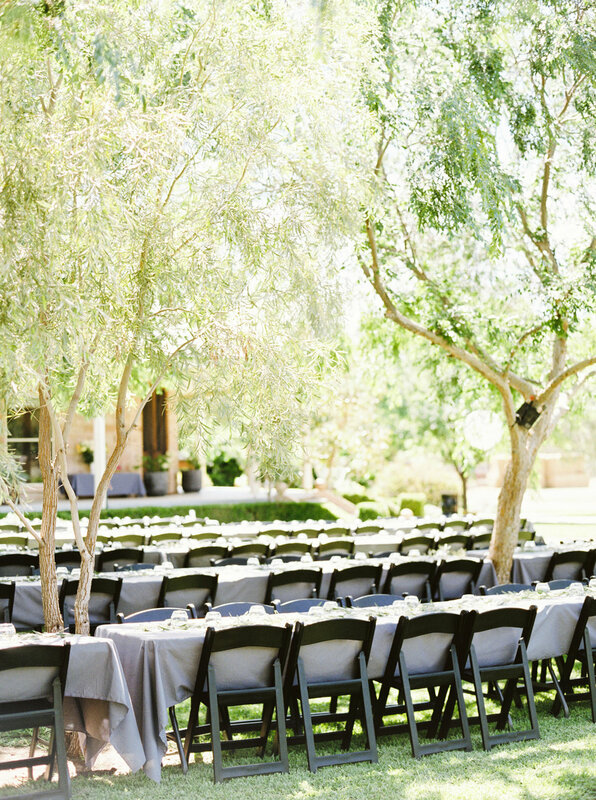 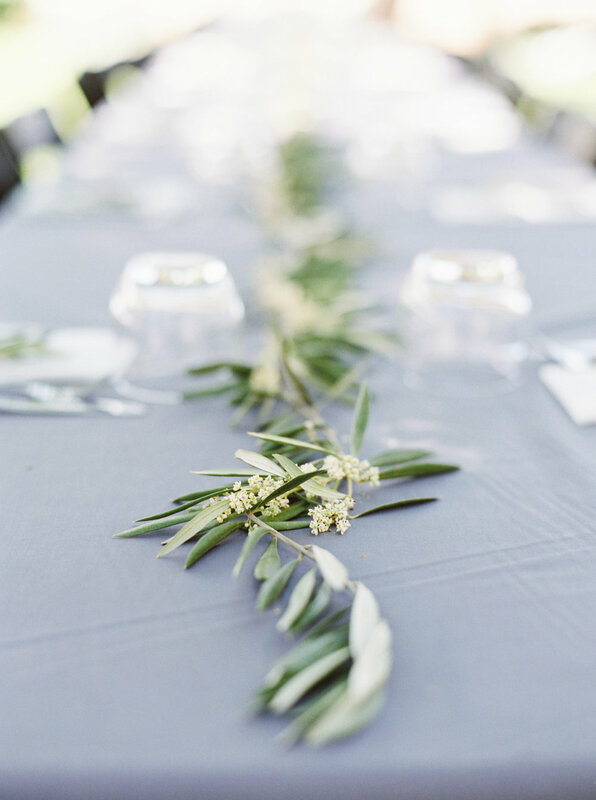 The couple celebrated their union under the lush limbs of the olive grove – the foliage of which also featured through the intricate and thoughtful styling. 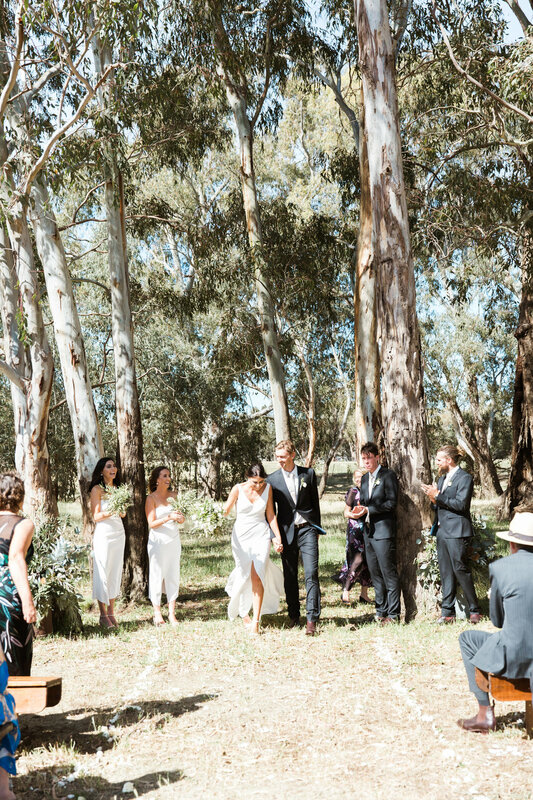 “We had the most amazing celebration with our family and friends and feel so lucky to have started our marriage this way!